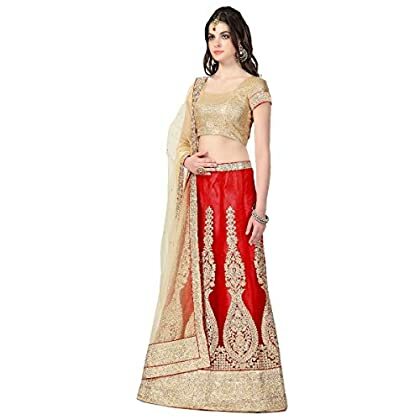 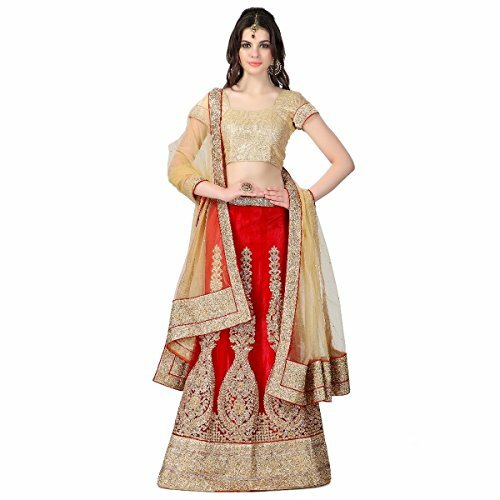 Get ready to look like a diva by wearing this red coloured lehenga set from Janasya. 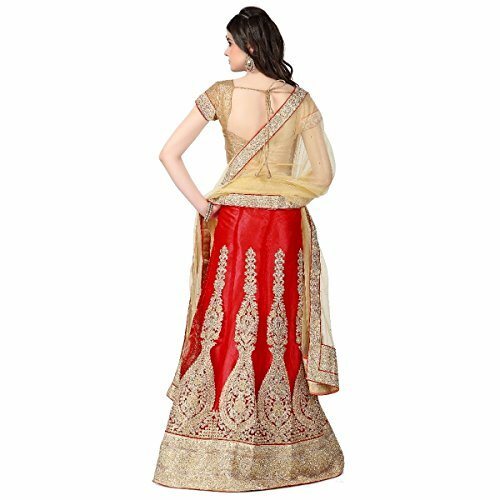 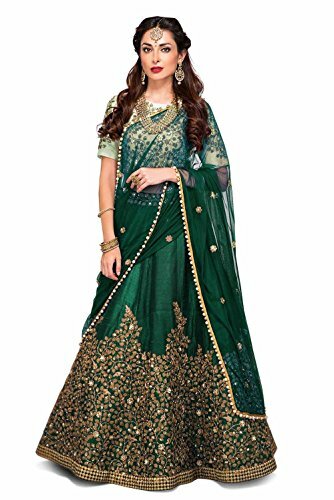 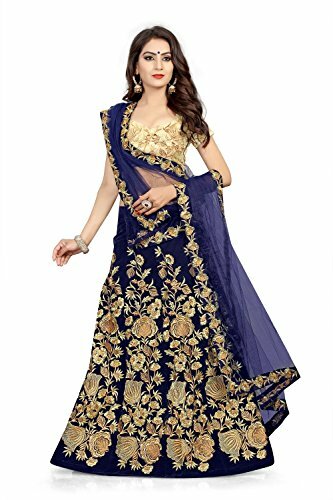 This lehenga is designed to perfection and has a mesmerizing butta work on the pallu and the kali. 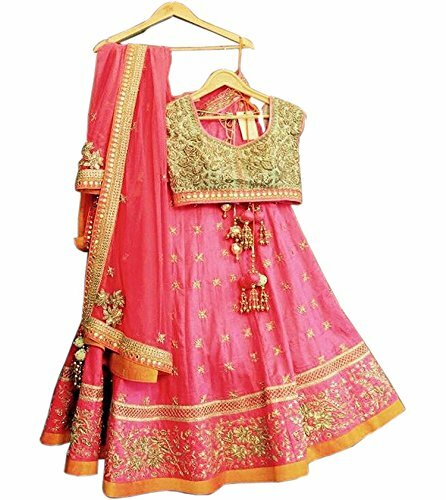 The combination of pink and blue shades with gold zari embroidery makes it a beautiful garment for wedding receptions or sangeet. 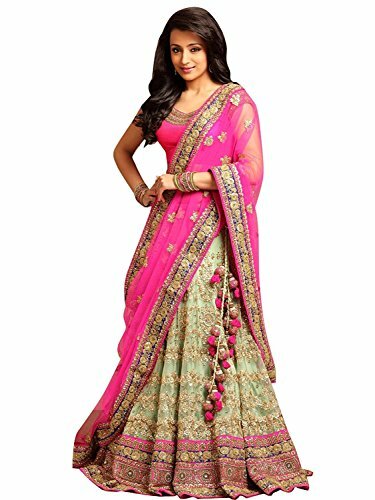 This net lehenga set is a must-have if you want to flatter your sensuous figure.